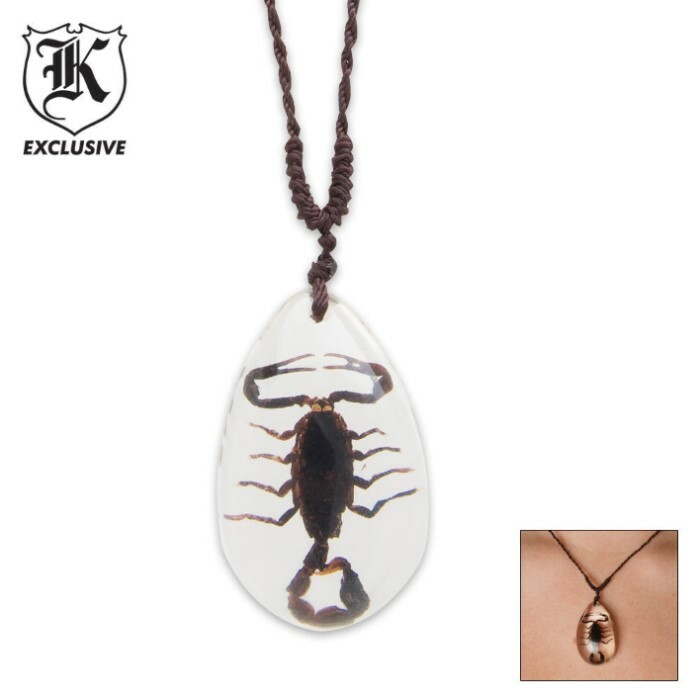 Real Scorpion Necklace Clear Lucite Pendant | BUDK.com - Knives & Swords At The Lowest Prices! This Black Scorpion necklace features a black scorpion sealed in clear Lucite on a brown nylon cord. 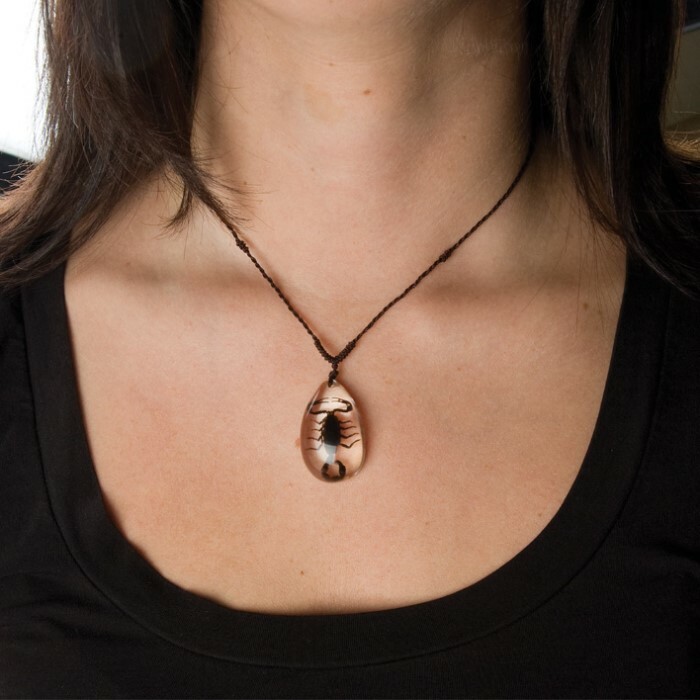 The dome-shaped pendant measures 1 3/8". The length of the cord is adjustable to 26" long. This necklace is perfect for both females and males of various ages. 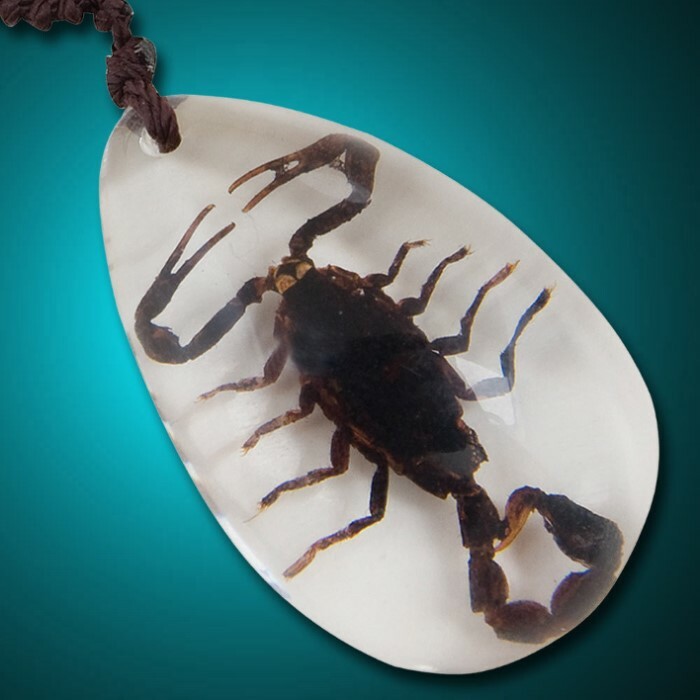 A great way to keep a real scorpion around your neck! I WAS VERY IMPRESSED WITH THE SCORPION NECKLACE AND BRACELET I BOUGHT FROM YOUR COMPANY. I'VE SEEN THESE IN THE FLEA MARKETS IN MY AREA BUT AT A MUCH HIGHER COST. EVERYTHING SOLD IN YOUR BUDK CATALOG IS AT A GOOD PRICE... I WOULD HIGHLY RECOMEND YOUR COMPANY FOR BUYING SURVIVAL GEAR. I am the Scorpion King! Little smaller than I expected, but nonetheless very cool. Real conversation piece around your neck. If you like the creepy-crawlies like myself, buy this.